Spiritual Enthusiasts have long used gemstones and crystals to help bring about desired results. But with so many gemstones and crystals out there-how do you decide which ones you should be using? Below is an easy guide to help you decide which kinds of gemstones and crystals to select to help you create your reality. I’ve also included several easy methods for using them effectively. 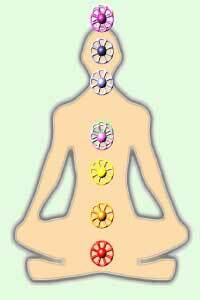 Gemstones and crystals relate to the chakras by their color. Therefore, the easy way to select a crystal “on the go” is to first understand which chakra is best related to how you wish to create your reality (e.g., do you want to find love, or maybe you’re hoping to get a promotion?). Then, simply purchase a stone in the appropriate color for that chakra (e.g., for love choose a green or pink stone to correspond to the heart chakra, and for a promotion you might choose a yellow stone to harness the power of the solar plexus chakra). Look below to see the chakra colors and their meanings. This is a very easy and basic guide for selecting stones. For a more in-depth look at individual stones, check out the links at the bottom of the page. 1. Crown Chakra “Sahasrara” (Purple or White): Associated with spirituality, enlightenment and connection with Source Energy. Please note that most all crystals and gemstones take on the energy of their surroundings. This means that as time goes by your stones will begin to take on any stress, sadness, anger or anxiety that they have been subjected to. Therefore, it is extremely important that you are cleaning and charging them frequently to keep them at the highest vibration possible. I’ve found it’s easiest to cleanse my stones by running water over them for a few minutes. For charging, I prefer to set them out for several hours under a full moon or in direct sunlight (there are some stones like amethyst and varieties of topaz that will be discolored by the sun so do your homework with your stones first to make sure that charging your stone in the sunlight is advisable). It is also well-advised to meditate with your stone and place your intention on it as an additional charging method. Using your crystals and gemstones is typically done by keeping them very close to your body. There are many easy ways to use them that require very little effort on your part. You can wear your gemstones or crystals as jewelry or you could carry them in your pocket. You can also sleep with your stones under your pillow. One of my favorite stones is a black tourmaline, and when I am sick I will hold the stone in my hand while I sleep. I have had tremendous results in feeling better using this method. Another method for using your stones is to create gemstone or crystal-infused water, where you leave your stones in a glass of water overnight and then drink the water the next day. Finally, using your gemstones and crystals to meditate can be done while lying down and placing the stone directly on its corresponding chakra (see the above chart to find the appropriate corresponding chakra). If you like what you’ve been reading on Raise Your Vibration Today, you might also be interested in joining the members’ area of my website. Members have access to my premium resources on how to raise your vibrational energy and use the Law of Attraction to manifest the things you want. Try it out for 30 days for just $1.99! Image Sources: Image 2 Image 1. Both of these images are Creative Commons licensed images and have been resized and edited.